The “Mad Hatter” … we’ve all heard of this eccentric character from Lewis Carroll’s Alice’s Adventures in Wonderland from 1865. He was a character classified as “mad” or also referred to as crazy or prone to erratic behavior. 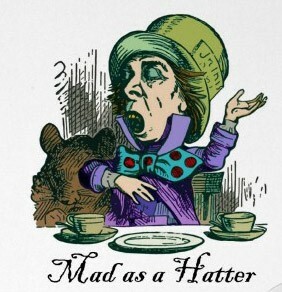 The term mad as a hatter started more than 30 years before Lewis Carroll wrote his story for reasons more sinister than you would think. Read on to find out the real story…. The expression is originally linked to the hat-making industry and mercury poisoning. In the 18th and 19th centuries, industrial workers used a toxic substance, mercury nitrate, as part of the process of converting the fur of small animals, such as rabbits, into felt for hats. Workplace safety standards often were lax and prolonged exposure to mercury and poor ventilation caused employees to develop a variety of physical and mental ailments, including tremors, speech problems, emotional instability and hallucinations. The phrase is still used today to describe the effects of mercury poisoning. So, you might wonder how this story affects you? Well the truth be told, it can affect you greatly in many ways. Even though stringent protocols have been adopted to protect our work place from such hazards as mercury poisoning; thankfully through the efforts of OSHA (Occupational Safety and Health Administration), we are exposed to mercury from so many sources that we may not even be aware of. Well, why do they use them if they’re so bad for you?! Let me give you a little history behind it. In the early 1800’s, French dentists were the first to discover that mixing silver with mercury would allow the amalgams to bond at room temperature. This practice was introduced to American dentists in the 1830s and was widely condemned due to the associated dangers of mercury exposure. In 1840, the American Society of Dental Surgeons (ASDS) formed, requiring its members to sign pledges promising not to use amalgams. This led to much bitter disagreement among the members, culminating in the suspension of 11 dentists in New York when the ASDS found them guilty of amalgam use. By the mid-1850s, the ASDS disbanded because of the internal debate. In 1859, the American Dental Association was formed and did not take a stand on the amalgam issue. Thus, creating the two factions of this highly debated topic. Today we know from multiple studies and research that dental amalgams, which contain 50% mercury is a large cause for concern. Not only having amalgam fillings can increase your blood mercury level, having them removed without precaution can seriously affect your health and the environment. When amalgams are removed, the mercury becomes vaporized which allows it to enter your lungs. This is the fastest route for damage to be done. Also, when removing the mercury laden amalgams, the mercury now can enter our waste water and our streams if proper protocols for disposal aren’t followed. The reason it’s so concerning is that everyone doesn’t have the genetic makeup to eliminate heavy metals like mercury from their body. The accumulation of the toxic metal can and will affect those who cannot detoxify themselves. 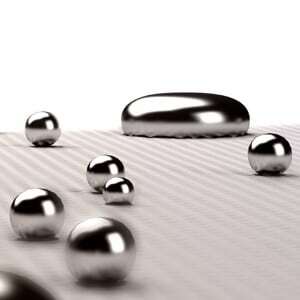 How can you prevent the dangerous side effects of mercury? The Holistic Dental Center has the answer… by being the first in the state of New Jersey to implement an amalgam waste trap to prevent it from going into the waste water during amalgam removal. Also, and more notably, Dr. Gashinsky and his staff follow the stringent amalgam removal protocols set forth by the International Academy of Oral Medicine and Toxicology. Gashinsky is not only a certified SMART practitioner, he is also Accredited by the academy which ensures that is properly following the strict protocols to keep his patients and his staff safe from mercury vapors. We invite you to come in to talk with Dr. Gashinsky and his staff about all the great things we’re doing to keep you safe and healthy. Heck, we even want to give you a complimentary amalgam consultation…yes for free! Let us tell you how we can help you on your journey to wellness. We welcome you to CALL Dr. Gashinsky’s Holistic Dental Center at 973-379-9080… and get a TRULY Holistic experience!